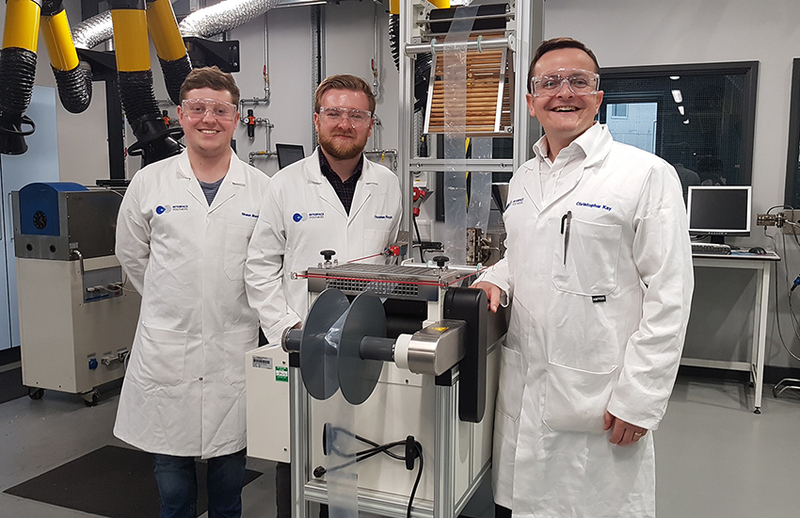 Interface Polymers Ltd is expanding its additive technology R & D team with two new full-time positions at its main laboratory and testing facilities in Loughborough, UK. Launched in February 2016 to develop and commercialize its new Polarfin® block copolymer additive range, the University of Warwick spin-out company is on a steep growth curve, responding to demand for polyolefin compatibility and surface functionality solutions across a wide range of applications in the packaging, construction, agriculture, automotive and recycling sectors. The additional roles have been created to accelerate development of new additive solutions for specific market opportunities with global potential, such as film packaging and new composite materials. Phil Smith, CEO of Interface Polymers commented: “This is a very exciting time for the business with so much interest in our game- changing additive technology. We are looking forward to the new starters joining us in the New Year and helping to develop Polarfin® additive solutions for a number of attractive market opportunities that we are working on with our first wave of customers”. According to the company, its Polarfin® additive technology can be easily incorporated into a polymer formulation and used with existing polymer conversion processes with little, if any, change to existing production equipment. It works by modifying the surface chemistry of polyolefin-based materials to enable interfacial bonding or other desirable surface properties such as anti-fog performance. For example, Polarfin® additives enable permanent interlayer surface adhesion, not possible before without costly, energy-intensive ‘functionalising’ methods such as: flame torching, chemical etching, corona discharge and plasma treatments. Many of the Polarfin® additive grades currently being commercialized bring the added benefit of reducing processing costs in addition to the main advantage of providing enhanced surface properties in end-use applications. Dr Luke Hollingbery, who joins as Senior Polymer Development Engineer, bringing commercial NPD experience and a rigorous academic approach, having spent more than 20 years in the Materials Department at Loughborough University working for a minerals company on application development and polymer processing. Mr Shaun Morris, an MSc Chemistry graduate from the University of Warwick, is taking on the new role of Polymer Development Scientist, providing considerable expertise as a synthetic chemist able to successfully formulate new compounds from initial ideas or market needs in a short cycle time.